GizzA brings you the Nicola Gown. 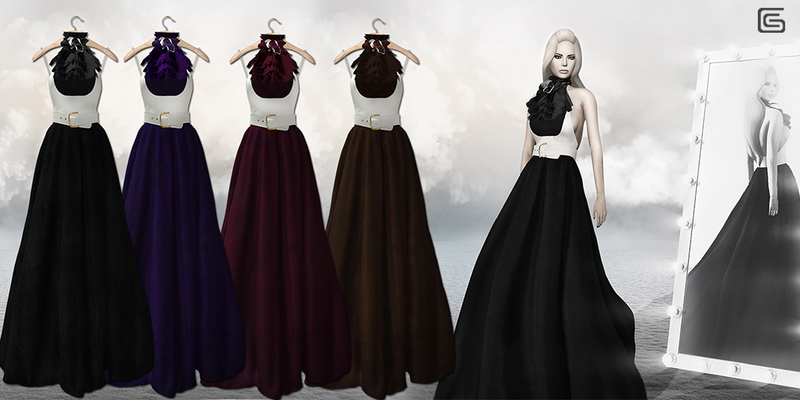 A classic and stylish formal look with a floor length skirt and halter top in matching color scheme accents. The halter top can be worn with or without the ruffled jabot. The wide belt frames the torso and adds the finishing tough to the ensemble.